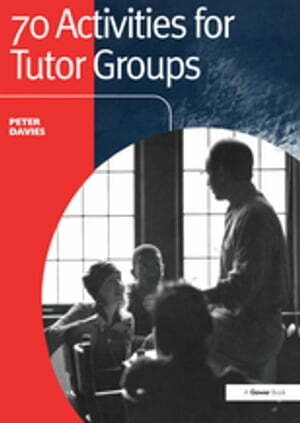 Collins Booksellers - 70 Activities for Tutor Groups by Peter Davies, 9781351962988. Buy this book online. The pressure on contact time with students and the results required from it are constantly increasing - which means that tutors have to be more and more creative in how they approach their work. This book provides some solutions. 70 Activities for Tutor Groups explores the many and varied ways in which tutors can provoke and encourage meaningful, constructive and focused discussion among their students. It takes the form of a classified and cross-referenced manual of groupwork activities. For ease of use each activity is presented in a common format: ¢ In a nutshell ¢ Aims ¢ What is needed ¢ Time needed ¢ How it works ¢ Good example in action ¢ Diagram ¢ Advantages of this activity ¢ Potential problem(s) ¢ Main learning outcome ¢ Variation. The practical, 'low-tech' approach taken by Peter Davies means that these activities (which have all been trialled and are known to work) can be used easily by all tutors, at any level, and in any subject. If you are committed to improving the effectiveness of your work with groups you need look no further!